Ive seen a few pics online of top dovetail rails for Tiberius T8.1, anyone still making them? I was wondering if anybody knew of anyone of a place that has experience in fixing Vanguard markers? I have a Demon that is leaking from the grip frame and I just do not have enough experience working on markers to diagnose what is going on. I did replace a fair amount of the orings but it did not fix the issue. Any idea of someone I can contact or a place I could send it to be worked on? Thanks. Can someone fix my Yakuza OLED screen? Looking for someone who has replaced their dead OLED screen with a new one. I've found a PBN user how has screens. My screen isn't soldered on, its got two 3-pin connectors. I can post pictures once I'm home from work, I guess PhotoBucket won't work here. *****FREE ANO GIVEAWAY***** Missed the last free reign? Here's your chance to get a completely FREE anodizing job. All you need to do to enter is &quot;like and share&quot; our page on Facebook (@blizzardanodizing), and then comment what your favorite marker is on the post. Drawing will be at the end on the month. Good luck! Is anyone currently or planning to start boring barrels for the XL inserts? Experienced designer making logos for good prices. Message with questions! My 3.5 just recently started leaking out of the SFR. Ive pulled everything apart making sure to clean any debris as well as changed solenoid gaskets and the leak is still there. I noticed that if I turn the SFR completely to the &quot;3 o'clock&quot; position the leak somewhat decreases. Do I need to just replace the Solenoid completely? Any other options since a new solenoid is $150? Any help would be greatly appreciated!! Anyone out there that still do this? would like to bore out an old PE back and UL back for freak inserts. No more, no less. Need complete by the 1st of April. So i just recently bought a proto rize maxxed and its been giving me many issues. The led light continues to flash green which means the eyes aren't seeing right.Ive tried everything from taking apart the gun to look for pinches in the wire to changing the battery and cleaning the eyes but the problem continues to persist so until my eyes are working the gun is capped at 10bps. 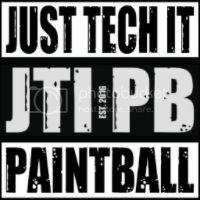 Moderator 3rd party service for paintball equipment.